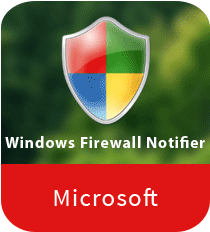 Windows Firewall Notifier is a robust system security tool that can track all the effective processes and services as well as inform you every time an application wants to connect to your system. The program helps you safeguard your computer and your personal documents against viruses, malware, spam, and other potential threats. This firewall notifier is mainly designed to fully customize the way of managing the rules as well as tracking all the processes which are connected to your PC. Once a process or service is detected, the firewall software prompts you with a notification window where you can easily allow or block the access to your files. The Windows OS doesn’t block any of the outgoing connections by default, which simply means that your PC is exposed to Internet threats. In such case, if any program you’ve installed on your PC is able to send your data to an unauthorized source without your permission. When you’ve launched Windows Firewall Notifier for the first time, you can enable the notifications and generate a blocking rule for strengthening your security settings. In addition, the security tool is able to block all the applications even if you disable WFN notifications. The security app’s main window displays all the available processes and active connections along with the basic details like Local address, Protocol, Local port, and Creation time. Moreover, Windows Firewall Notifier’s full version lets you preview all the available Firewall rules and manually create new ones or remove them if needed. Download Windows Firewall Notifier today to handle outgoing connections with ease. Windows Firewall Notifier is simple yet valuable software that can extend the default Windows-embedded firewall behavior by handling outgoing connections. You’re able to view real-time details regarding the firewall rules. Overall, the application comes handy for those who want to monitor all the available services and outgoing connections.